Reliable full service is the basis of any successful partnership. It extends from comprehensive consulting to analysis to commissioning to optimization to all mechanical work in our highly specialized field. We also offer comprehensive training measures. And, if necessary, we would also be happy to rent a PWDS® to you for mould validation. Each project is comprehensively documented in detail. This had the great advantage that we have points of reference to fall back on and can support our customers with technical knowledge and experience in all areas. These defining extensive full-service capabilities allow us to optimally fulfil our customers’ individual requirements. We are absolute specialists in the area of radial wall thickness distribution. Based on our experience in blow moulding spanning almost 40 years and our detailed documentation of all our processes, we can provide you advice in all aspects of the field. Whether your concern is the selection of the right combination of PWDS®/SFDR®, the optimum die diameter, or information about or modifications to a die you purchased from us years ago, we will pull out all the stops when it comes to helping you. 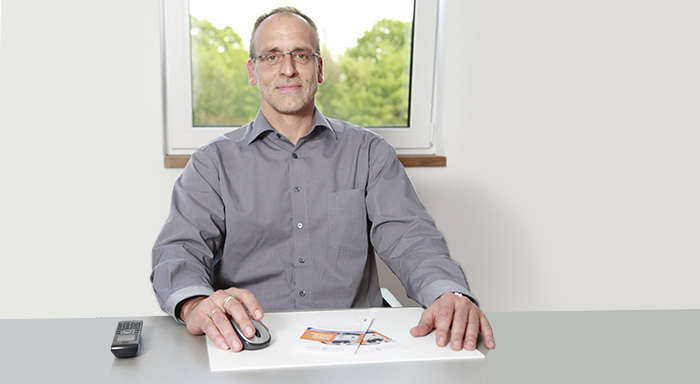 We have been doing product analyses and wall thickness simulations for our customers for many years. For instance, we can analyse an article you have produced without PWDS®/SFDR® with respect to wall thickness distribution. The values returned by this analysis allow us to construct a wall thickness simulation representing the use of PWDS®/SFDR®, which we can use to determine savings opportunities for your product; for articles in ranges below the specifications, we can provide information about possible wall thickness distribution. For such an analysis, we only need an article you have produced (no discards, please) and a form you have filled out (which we will send to you in advance). The correct start-up of our systems is one of the most important conditions for the quality of your product. It requires a very precise procedure. Errors in commission lead to negative PWDS® behaviour during production and poor product quality. We would be happy to perform on-site commissioning of our systems for you. In addition, we have added the capability of mounting a PWDS® system on a simulated head unit, warming it up, and performing a warm start-up before dispatching it. This allows us to provide you with the necessary values for transmission to the machine control system along with the PWDS® system itself. Additional start-up of the PWDS® on site is unnecessary. The utility of a PWDS®/SFDR® system can be seen after product optimization. Significant saving in material, cycle time, and energy consumption are achieved by optimum wall thickness distribution during the process and in the finished product. 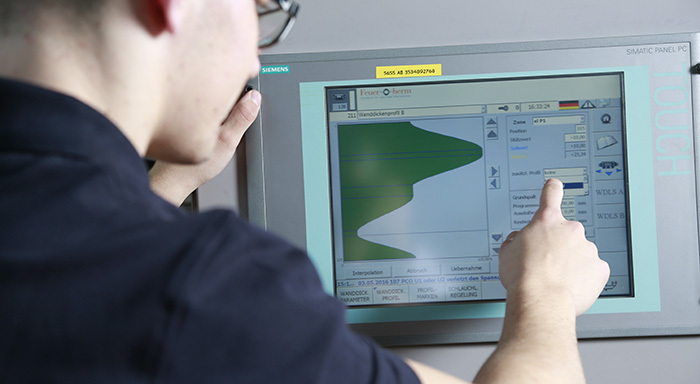 Some of our specialists have decades of experience with the optimization of the entire blow moulding process that allows them to achieve the optimum specifications in the finished product. We pass on this unique wealth of experience from generation to generation so that also our young staff are able to always deliver the best possible results to our customers for their products. Take advantage of our specialists’ knowledge and have your product optimized. Today, overhaulings due to wear only remain necessary for the old PWDS® D1/D3/D5/D7 versions. These versions have a holder ring below the flexible ring. Wear occurs on this contact interface and results after varying intervals in leaks in the PWDS® die. 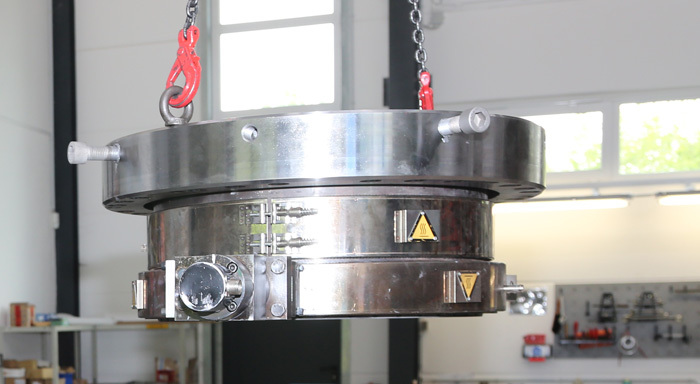 During the overhauling, these two rings are replaced and adjusted by our specialists for optimum service life. Today, we recommend a switch to the new wear-free PWDS® versions. If needed, we are prepared to use our technical knowledge to perform overhaulings in our service shop or on your premises. Regular maintenance of our PWDS® systems guarantees the least possible downtime for the machines. The hydraulic actuators in particular should be maintained at regular intervals. Our specialists are ready to help you here, as well. 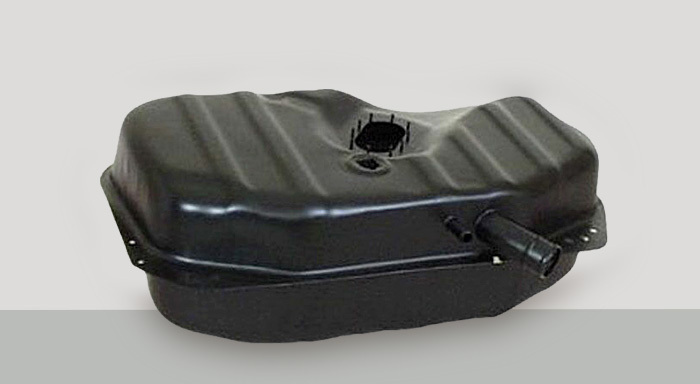 Should repairs nevertheless become necessary, we can help you at short notice. We store standard parts and many special components at our own expense so as to be able to return any PWDS®/SFDR® system back to production as soon as possible. For repairs in particular, it is often useful to send the PWDS®/SFDR® system to our plant in Germany. If the system is damaged, it is difficult to determine which components have been affected without physically examining it. 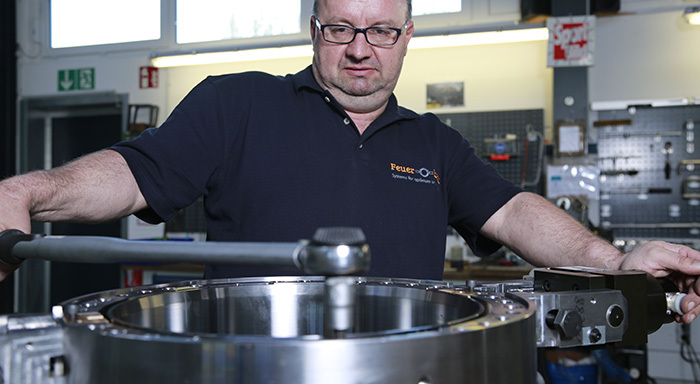 Usually we have all replacement parts in storage at our Troisdorf location. Transporting the system is generally cheaper than transportation cost for replacement parts and travel time and costs for our specialists. Comprehensive training measures are one of our points of emphasis. A combination of PWDS® and SFDR® is a much more complex system than a solid die/mandrel tool and may only be used by trained personnel. Improper settings reduce the utility of the PWDS®/SFDR® and, in the worst case, lead to contact between the PWDS® and the SFDR® and breakage of the flexible rings. This generally necessitates expensive repairs. The timely training of staff allows you to minimize this risk. 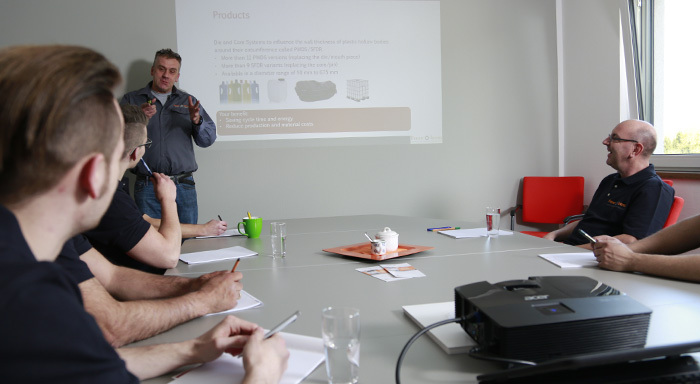 At our location in Troisdorf, we can offer theoretical and practical training on the PWDS® and the SFDR®. We have set up a special training area in our manufacturing facility, including a hydraulic unit, a control unit for electrical PWDS® drives, a heater control, an S5 and an S7 blow-moulding control, and a light gantry crane with a head connection. This puts us in a position to hang an electrical or hydraulic PWDS® system on the simulated head in the flow direction, warm it up, and train all mechanical steps “on the head” or at the work bench. We would also be happy to train your personnel on your premises, within the framework of optimization, maintenance, or repairs, for instance. Generally, we recommend a combination of theoretical and practical training to prepare your personnel for work with the PWDS®/SFDR® system.